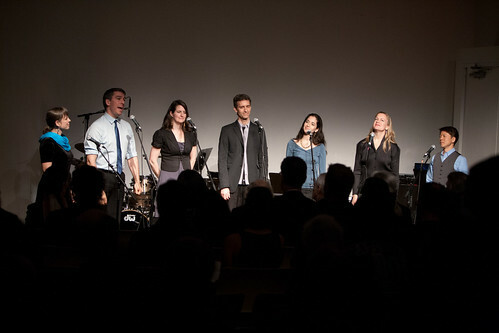 The M6, joined by Katie Geissinger and Bruce Rameker, was honored to sing at New Music USA‘s presentation of its 2013 Founders Award to Meredith Monk at a private ceremony at the New Museum of Contemporary Art in New York City on May 13. The award, which was established in 1999, is reserved for previous Letter of Distinction recipients to celebrate lifetime achievement in the field of new American music. This entry was posted on 24/05/2013 (Friday) at 9:43 am and is filed under Uncategorized. You can follow any responses to this entry through the RSS 2.0 feed. You can leave a response, or trackback from your own site. R755 theme designed by varometro. 37 queries in 0.873 seconds.